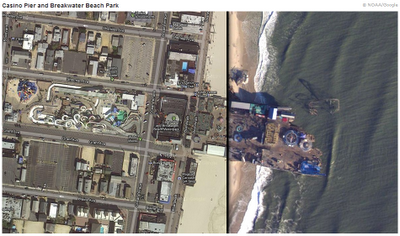 ABC News Australia has prepared interactive images of the New Jersey coastline before and after the recent storm. Hover over each image with your mouse, moving left to right to see the damages and alterations to the coastline. Click the image below to view Brick Township, Ortley Beach, Mantoloking, Atlantic City, Ocean City and other locations.